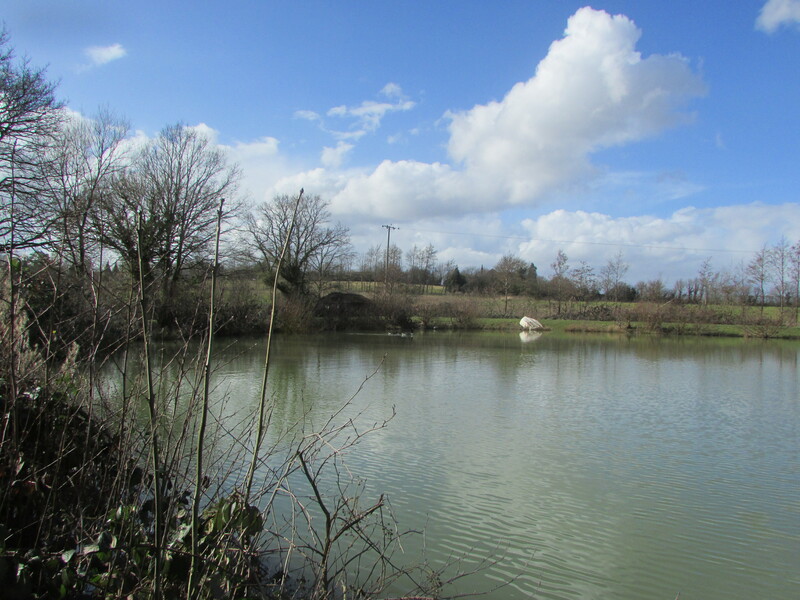 Over the last couple of weeks Geoff and I have been targeting a carp lake in Kent for it’s roachy inhabitants. Just for a change it’s not far from where I live, so none of this 200 mile round trip nonsense! I became aware of this lake a couple of years ago and we tried it a couple of times in less than favourable conditions. At the time we managed to tempt a few roach but nothing special and almost forgot about the place until recently. 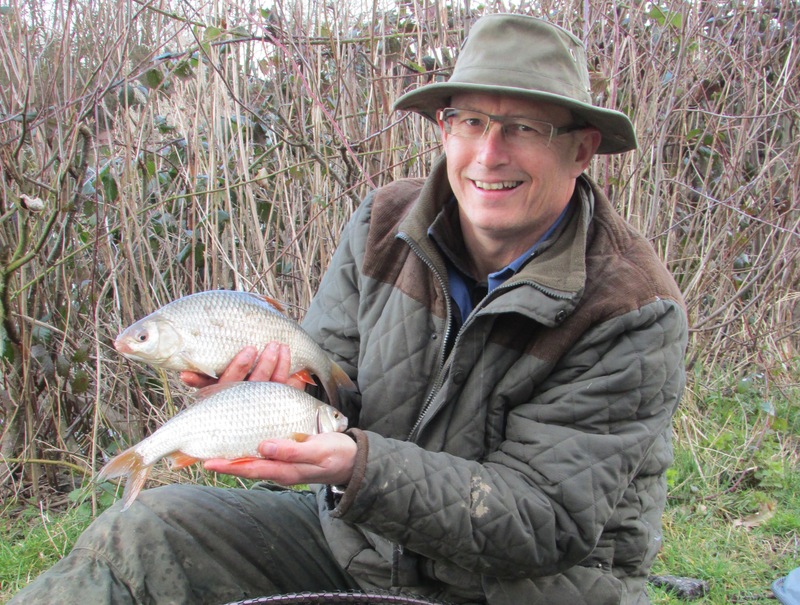 A mate of mine has been fishing over the winter for the big perch that inhabit this venue and so Geoff and I decided to return and have another go for these legendary large roach. We decided to fish more thoroughly and give it a real concerted effort. We both enjoy float fishing over the feeder method and so that would be our main attack. Chatting to the bailiff and a couple of the regulars indicated that maggot and sweetcorn fished well, so both of those baits were packed along with a few lob worms and casters. The weather has been somewhat trying of late to say the least; rain and the flooding of course have kept me off the rivers since around late November but also the constant wind is a bit of a drag (yes, pun intended! 🙂 ). There’s barely been a day where it’s not blowing a hooley, with gusts of 30+ almost daily. Thank God I haven’t resorted to wearing a wig in my dotage, otherwise it would have been fluttering like a kite. It really does wear you down after a while though. Still One has to grin and bear it as they say! Due to the nature of the lake in question there are few places where the wind can be avoided, especially if you’re sitting close to Geoff! However there are one or two spots protected by the prevailing WSW winds. Over a two week period we fished the lake 3 times. Each time we tried a different area in an effort to explore the nature of the lakes bottom (ooh er missus), hoping to identify different depths or features. Lots of plumbing is a big help and soon starts to build up a picture of what’s in front of you. 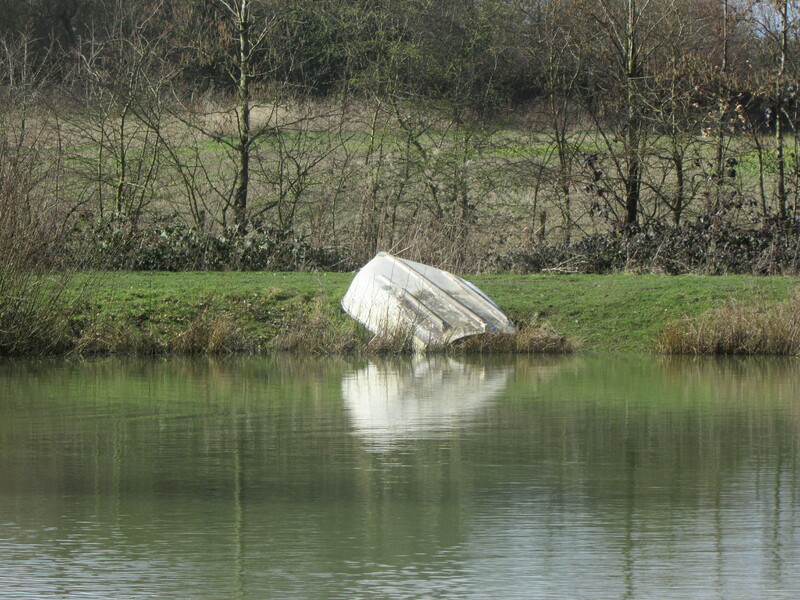 Obviously due to the shear amount of rainfall this winter, the level of the lake is up around 18″-2′, however that does bring into play a lot of bankside cover. A lot of the tress and bushes around this water are partially submerged now and offer a great feature to fish to. Although the fish do tend to show further out in all fairness. Tactics were fairly simple; a waggler fixed with float stops and the majority of shot fished around the float with only a couple of No 8 dropper shots down the line. Careful plumbing indicated the required depth (and it is deep here, at around 6-7ft in the areas we targeted). A size 16 hook to nylon attached to the 4lb mainline finished off the simple set-up. The idea was to keep feeding maggots regularly and hopefully get the shoals of roach feeding competitively. Bites came fairly quickly and pretty steadily all day on all three occasions. 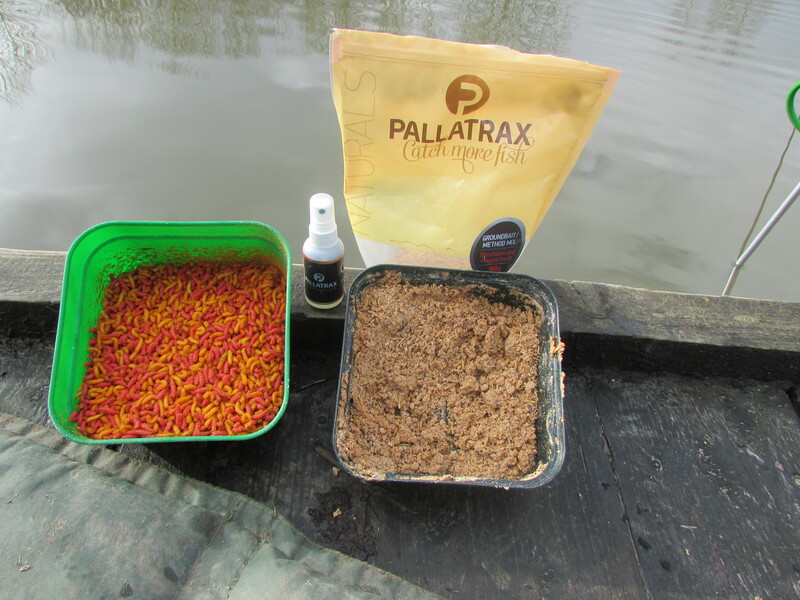 I like to get my baits Pallatrax’d up and so add some of the Winter Almond overspray to both the maggots and sweetcorn and I combine this with using the excellent Bloodworm and Maggot Crush groundbait. It just gives it that extra edge as far as I’m concerned and as Tesco would say “every little helps”. The roach here seem to move around quite a bit. One spot will produce steady bites and then they just seem to dry up, only for another area further out to start producing. This is probably due to having to put the fish back, they eventually spook the rest of the shoal and so they move on. 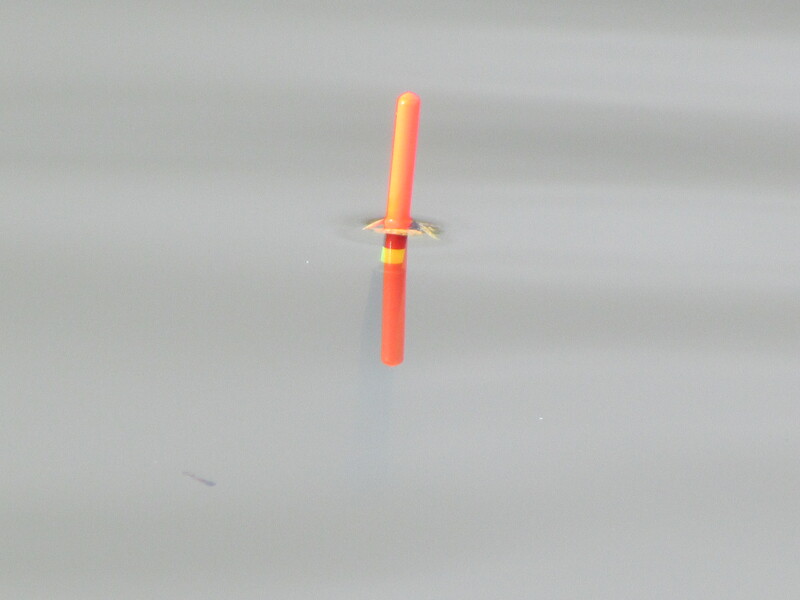 It’s worth keeping a few spots baited up and when things start to slow down, move the float to the next area. This tactic worked well and both of us caught a lot of roach over the first two visits. The size and quality of the roach here are superb. We caught lots of fish around the pound mark with numerous fish over that weight to 1lb 5oz, with the majority of fish averaging around 8oz. The real biggies proved elusive but the quality of the fish are extraordinary; they are in absolutely mint condition. 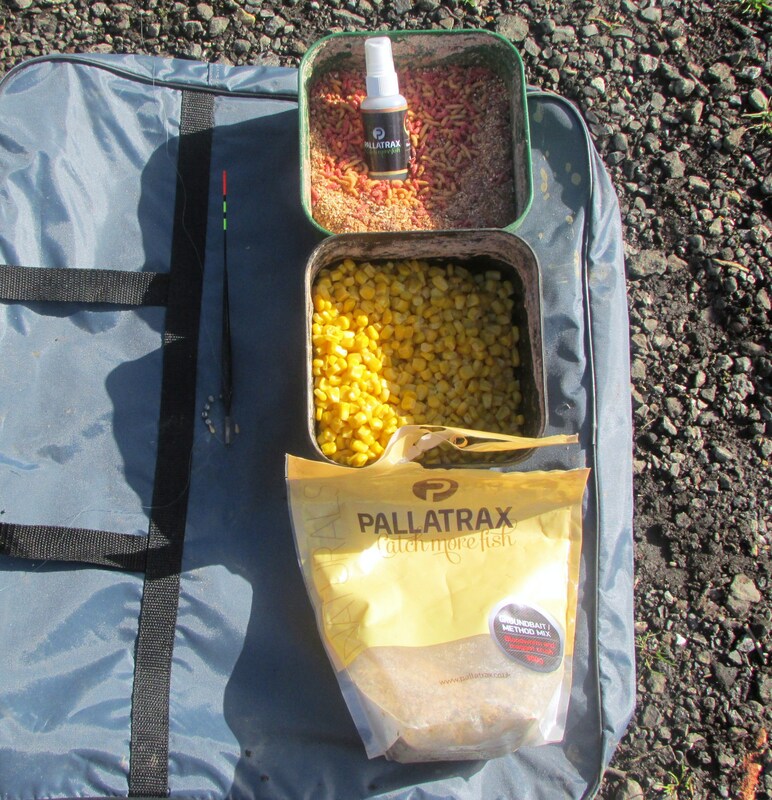 I tried casters, worm, maggots and sweetcorn. On two of the visits they completely switched off the maggots and would only take corn but on our latest trip we couldn’t get a touch on corn. They don’t appear to be too finicky either, with 3 or even 4 maggots producing lots of bites. That said the float needed to be shotted down to hit some of the delicate bites, otherwise quite a few would be missed. Fishing just a single maggot on a 18/20 hook produced lots of very small fish, so that’s best avoided. 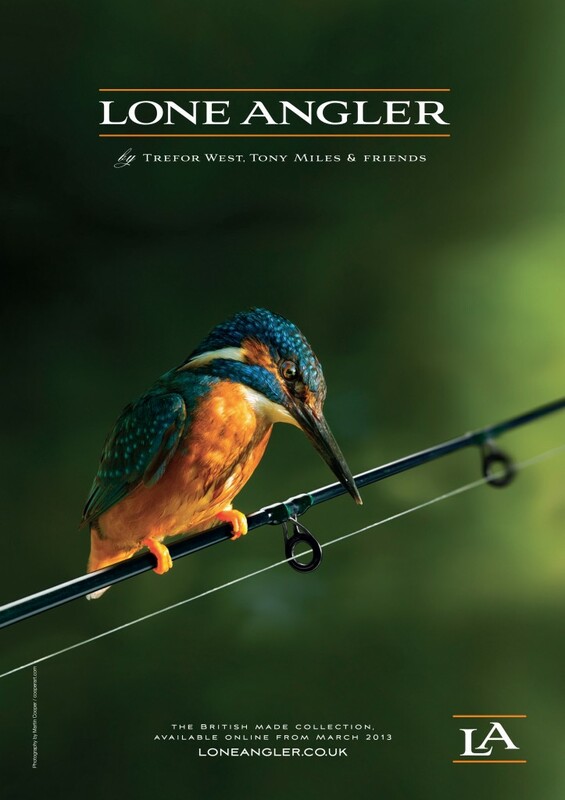 The last trip saw one chap catch well over 150 roach on the hemp and caster approach, so on our next visit we’ll be giving this a try. It’s a bit more intense in that you must keep the hemp constantly going into the swim, so a shower of hempseed is falling through the water layers all the time. I’m hoping to get back soon for another go and hopefully find some of the bigger roach that this venue is well known for. Still its wonderful catching so many roach in such superb condition.